71in x 88in quilt that gives a 2/3 yard panel the place of honor. 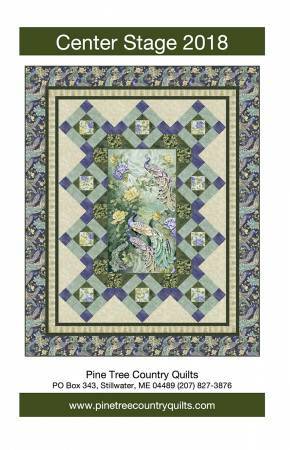 Easy-to-piece units make large quilt sections that are simply stitched around the panel. Fabrics shown from the Feathered Peacock collection from Timeless Treasures.